What is nutritional yeast? Also called nooch, it’s an inactive yeast that many people use on their food. It has a nutty, cheesy flavor and is often used in vegan recipes. Use it on popcorn, as a breading, and as a soup thickener. Anything worth doing should have some benefits right? 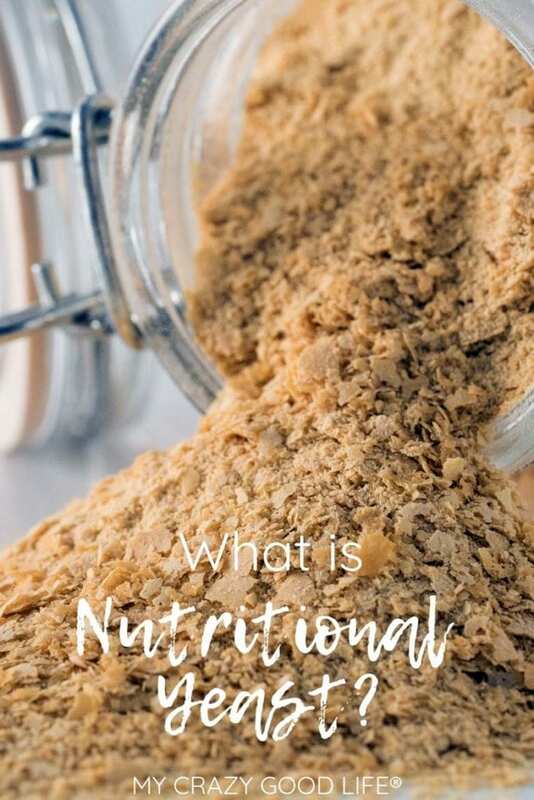 Nutritional yeast has some great health benefits so let’s take a look at those and discuss the reasons why I use it (and love it)! Nutritional yeast is an easy way to add protein, vitamins, minerals, and antioxidants into foods that might otherwise be lacking in those areas. Nutritional yeast is packed with protein, B vitamins, and trace minerals…naturally. That means it’s naturally good for you without having to be chemically altered! There’s low amounts of sodium and calories but no fat, sugar, or gluten in nutritional yeast which makes it great for all kinds of restrictive diets. Because it is a complete protein it contains all 9 amino acids that humans need to live. It’s a non-animal based protein which is great for vegans! Some studies have shown that nutritional yeast can help with free radical damage since it’s an antioxidant and it could potentially help boost immunity as well. In animals the carbohydrates in nutritional yeast have been shown to lower infection rates!! Beta-glucan, which is one of the carbohydrate strands in nutritional yeast, was shown in this study to help lower cholesterol. For those of you who might need help in that area, ask your doctor about incorporating nutritional yeast into your diet. Do you have any nutritional yeast recipes? Yes it is! Nutritional yeast does not contain gluten or animal products so it’s a great choice for vegan cooking and lifestyles. It is also very low in sodium and has no fat. I like to use nutritional yeast as a breading when making gluten free recipes! Mix it with your gluten free flour for a more flavorful and crunchy breading! These nutritional facts will change depending on what brand you choose and how it is fortified. Here is the nutritional breakdown for the brand that I use! Is brewer’s yeast the same as nutritional yeast? No. These are actually two different kinds of yeast products and while brewer’s yeast has it’s own set of benefits everything I’m talking about here only applies to nutritional yeast! You can get nutritional yeast a lot of places. It’s common in bulk and bin stores and health food stores like Whole Foods but I like things easy so I buy from Amazon. I use the NOW FOODS brand from Amazon. It comes in different forms, but I like the flakes because they are better for breading. Depending on what you are going to put it in or serve it with you might like the powder as well. Nutritional yeast can be used as a substitute for many things. It has a nutty almost cheese like flavor so it can be substituted for parmesan especially! You can also use it as a substitute for cornstarch, cheeses, flour in some cases, and as a topping for flavor. You can also use it on popcorn, in pesto, add some to your scrambled eggs, and even to top a baked potato! 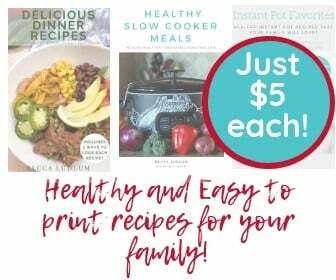 Looking for more resources for healthy living?